Philosopher Gerhard Richter’s concept of “afterness” names the moment after a seismic change has taken place (the overthrowing of a dictator) but before the consequences can be known or experienced (will repression end?). Lytton Smith’s visual book, The . 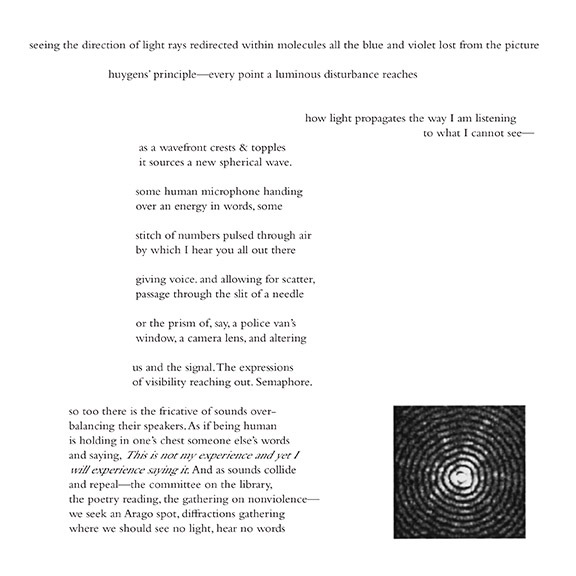 after, aims to use poetic language and spatial layout to make that concept tangible with specific references to square movements – protest movements such as in Egypt, Tehran, and Ferguson, MO. 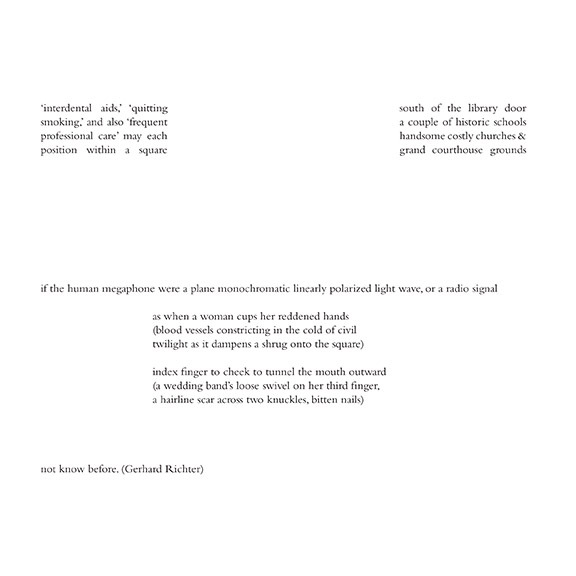 For his Project Space residency, Smith will be working on a 7×7 inch square book designed to be cut from the spine to form a reversible square, 7 pages by 7 pages, as a way to both manifest the site of the square and call into question the (arbitrary) borders of the visual page. 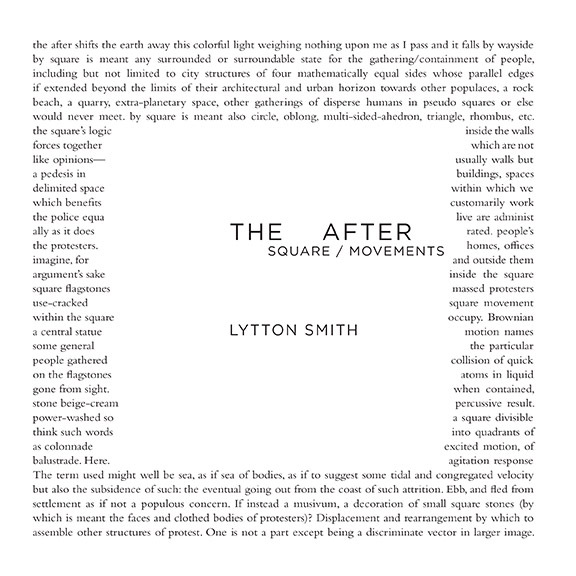 Lytton Smith is the author of two full-length volumes of poetry (both from Nightboat Books), and two chapbooks, one selected by Kevin Young for a Poetry Society of America Chapbook Fellowship, the other a collaborative book with artist Steve Fitzmaurice forthcoming from Buffalo-based Foundlings Press. Join us for an open studio with Lytton Smith on Friday, May 25th from 6 to 8 pm.